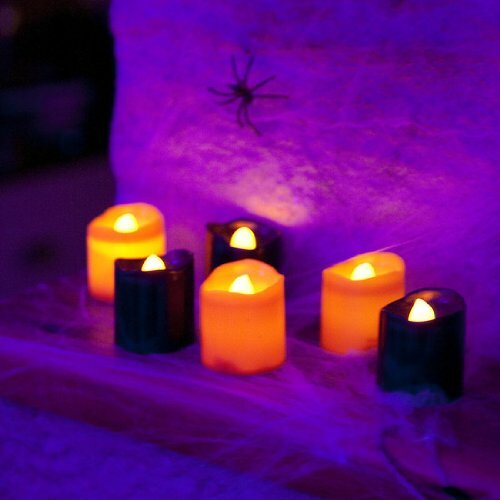 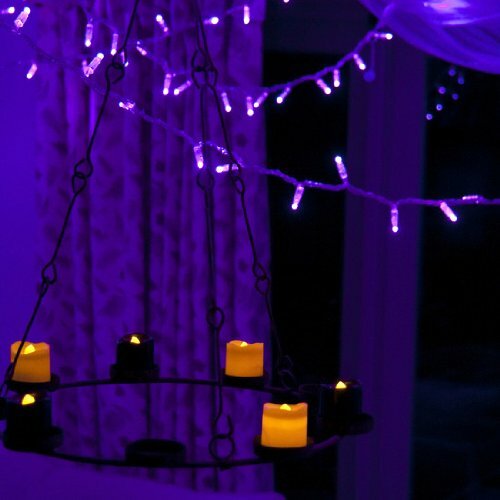 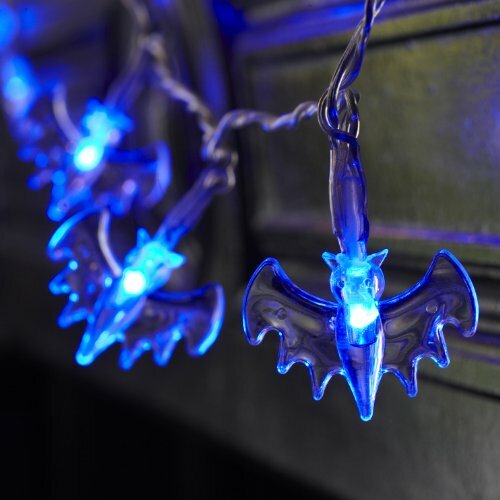 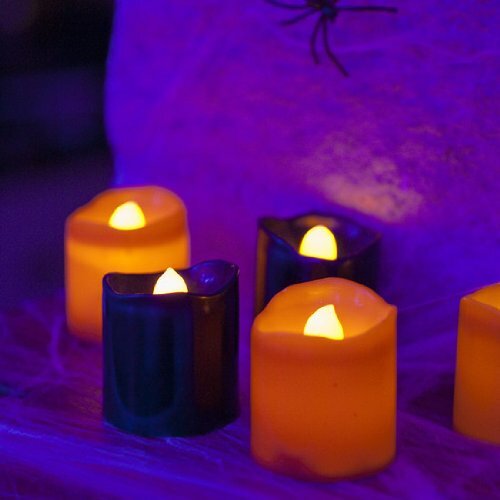 Create a spooky atmosphere at your Halloween party without the messy wax or fire risk. 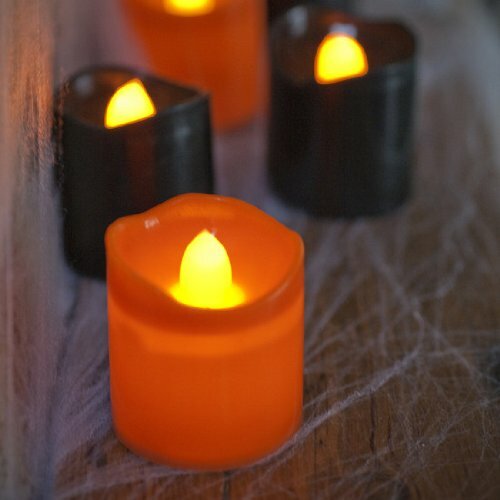 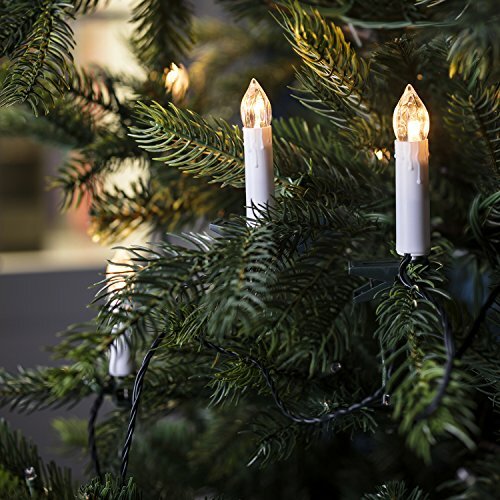 The LED bulbs in these tea light candles imitate the warm flickering glow of an actual flame yet stay cool to the touch -making them super safe to be used around fabrics, little fingers and pumpkins! 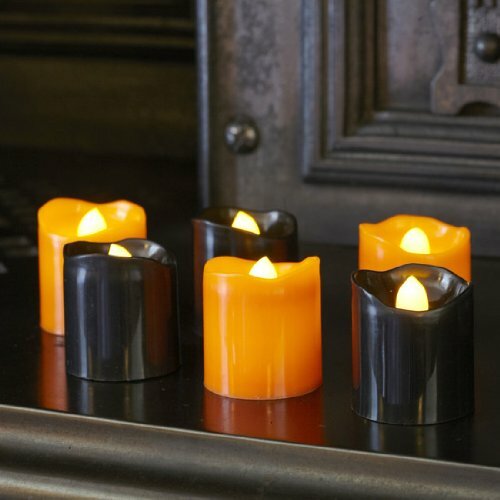 Easy to make use of, there’s a simple ON/OFF rocker switch at the base of every candle and with batteries included; you’ll begin styling in your spooky soirée straight out of the box. 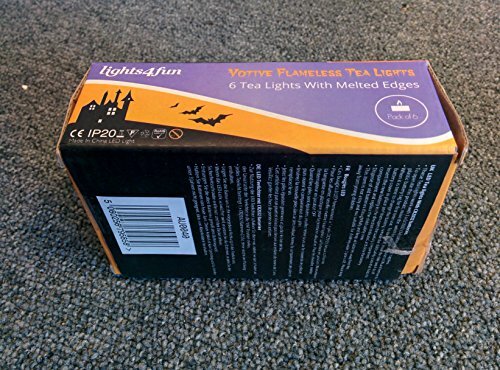 The batteries (1 x CR2032 battery per tea light) must last for 60 hours before they want a change. 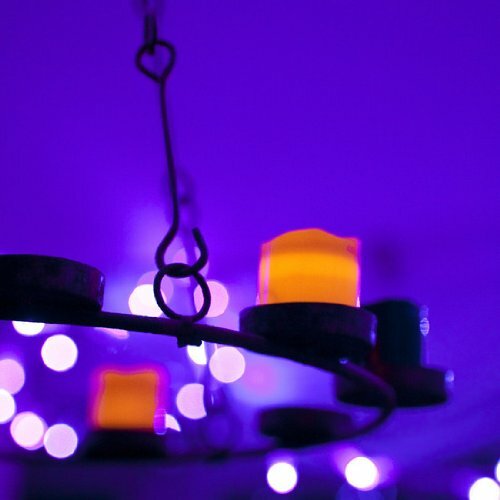 12 month product guarantee only from lights4fun.